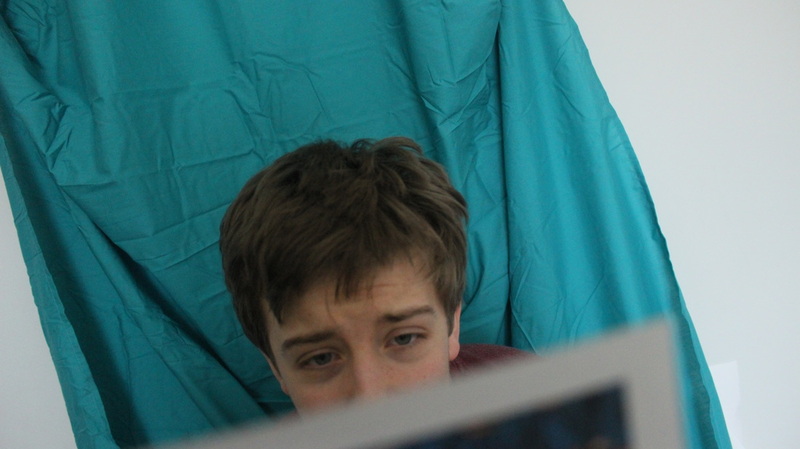 To develop my Explain project further, I used what I'd learnt about chroma-key to create a video diary of the fictional journey into what lies beyond the visible universe. Today’s workshop was so enjoyable! It initially seemed an unusual thing to do but, on reflection, has opened up a brand new stem of ideas and another process to add to my knowledge. Bluescreening is used to composite two images or videos together based on chroma range. The technique is used to remove a background from the subject of a photo or video, particularly the news-casting, motion picture and video game industries. A color range in the top layer is made transparent, revealing another image behind. To begin, our group created a short animation which would replace the bluescreen and appear as a background. With reference to the theme ‘Our Machines’ we drew inspiration from the quote; “ Only machines and cyborgs can enter space.“ (Carnival Cyborg, Chris Hables Gray, 2002) From this a narrative emerged where a robot traveled from a boat to the bottom of the ocean revealing the dependence we have on machines in order to access such depths. 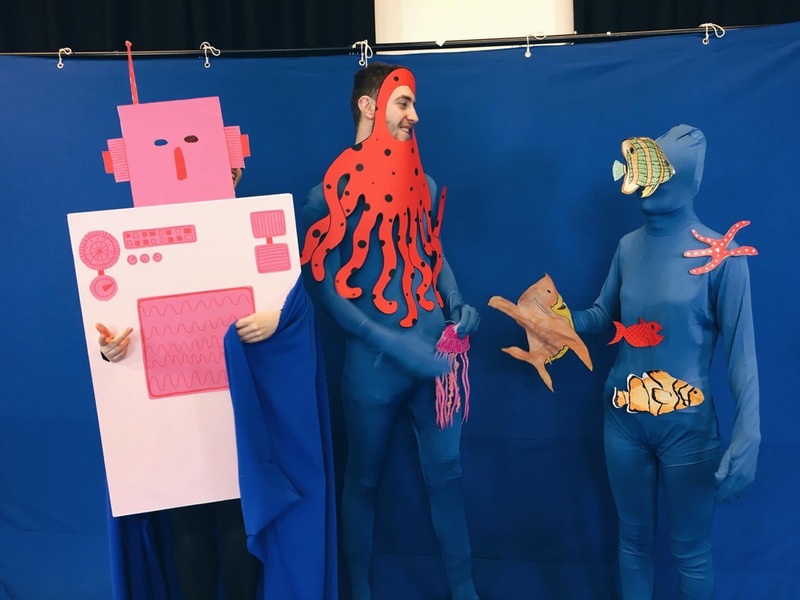 We approached the narrative in a playful way creating humorous costumes and illustrations such as an octopus mask and the robot in unconventional pink colours. We played around with our use to blue to make invisible aspects of the film we did not want to appear such as the sticks on the floating fish or Katie wearing the robot costume. We therefore coloured these aspects blue so the chroma ket would render them invisible. We used 3 takes to form our final film which was shot in a continuous way with no post editing. This therefore meant the outcome was rather lo-fi however this added to the playful, experimental approach and aesthetic of the workshop. For me this is quite a revelation. In my work, I often seek to produce work that is extremely hi-fi and clean so the consideration of lo-fi production and the fact it still looks good lessens the necessity to always create hi-fi work. Overall I really enjoyed the workshop. It was nice not to have such a specified plan which allowed us to be playful in our approach while still considering the technical aspects of the chroma key. I feel we worked extremely well as a group, taking on roles so quickly that we were able to produce the film in only 3 hours including all props and background animation. This just goes to show how quickly work can be produced when you’re organised and still be playful. I really enjoy the humorous aspect of the outcome. In past projects I’ve explored humor and the funniness of the experience when producing this video was transferred to the audience who also laughed when viewing the piece. This transfer of emotion is intriguing and could be something I consider more and more in future.